Situated on the eastern border of Etosha National Park, Namibia. Offering great game, romance, adventure and so much more! With 5 lodges, two campsites and 34 000 hectares of private wilderness to explore, we have an accommodation option that is just right for you! Take a look at the ‘lodge finder’ below to help you choose. 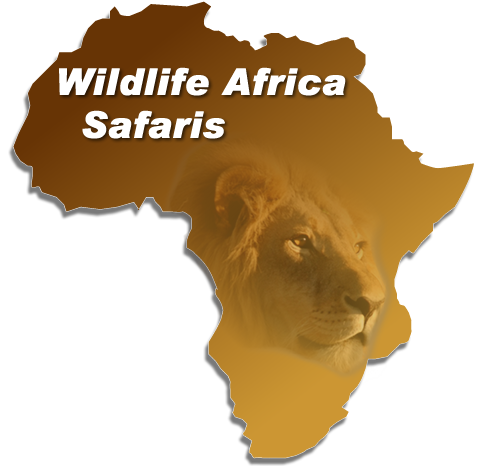 Onguma Game Reserve boasts over thirty different animal species consisting of plains game including kudu, giraffe, eland, oryx, hartebeest, zebra, impala and many more roam freely as well as predators such as lion, cheetah, leopard, being common residents of the area. · Return flights from Eros airport in Windhoek. · All meals, soft drinks, local wines and spirits with meals as well as 1 game activity per day. · Transfer from and to the Onguma & Mokuti airstrip, VAT, Hai//om levy and NTB tourism levy. PRICE up to 31 OCT 19 based on a minimum of 4 people. The Fort at Onguma consists of a fort style main complex on split levels, 11 Bush Suites, 1 Honeymoon Suite (includes a lounge with flat screen television and outdoor bath and shower), and a Sultan’s Suite on the upper level of the main complex (includes a lounge with flat screen television, bath and shower). All suites overlook Fischer`s Pan. 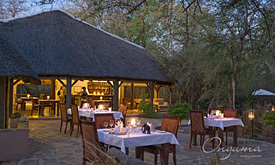 The main guest area consists of a lounge, two dining areas, small safari shop, a tower bar as well as a swimming pool. Free Wi-Fi is available to guests. well as 1 game activity per day. The Onguma Tented Camp is situated around a waterhole and consists of 7 luxury tents, each overlookingbthe waterhole. Each Safari Tent has a bath as well as an indoor and outdoor shower. 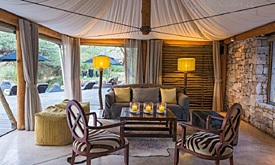 The main guest area overlooks the waterhole and includes a reception area, comfortable lounge, a rim flow swimming pool, dining room, small safari shop as well as an open fire pit to compliment this Classic Safari style camp. Free Wi-Fi is available to guests.